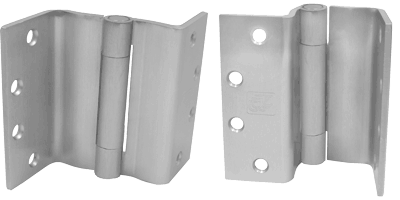 •All swing clear hinges are made for reversible applications. 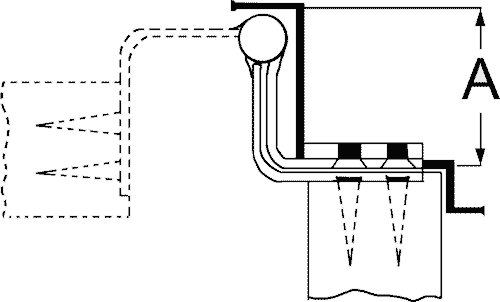 •Designed to swing doors completely clear of the opening when door is opened 95º. When opened 90º door projects 11/64” past stop of jamb. •Concealed bearing for trouble free long life. •For heavy weight doors receiving high frequency service. For use in hospitals, institutional or commercial type buildings for barrier-free environment. Wherever doors are required to meet barrier- free codes (ADA) or are required to swing completely clear of the openings so that wide equipment can pass through without damaging doors, frames or equipment, reducing opening maintenance. NOTE: Specify square or beveled when ordering product.